Angela Bassett and Connie Britton look stunning on the red carpet. The two stars were among the several actors from their hit show 9-1-1 at a special FYC event on Monday (June 4) at Saban Media Center in North Hollywood, Calif.
Oliver Stark, Aisha Hinds, Peter Krause, Kenneth Choi and Rockmond Dunbar were all in attendance as panelists during the screening and discussion. 9-1-1 was renewed for a 16-episode second season at the beginning of 2018. Jennifer Love Hewitt will be joining the main cast in the second season, as well as Ryan Guzman. FYI: Connie is wearing a Cynthia Rowley dress and Alexis Bittar earrings. Ryan Murphy is opening up about how a medical emergency that his infant son had inspired his new show 9-1-1. 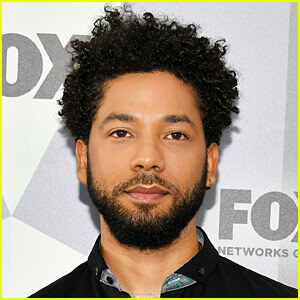 The television producer appeared on the Fox panel at the 2018 Winter TCA Tour on Thursday afternoon (January 4) at The Langham Huntington in Pasadena, Calif.
Ryan was joined by the show’s stars Angela Bassett, Connie Britton, Peter Krause, Aisha Hinds, Oliver Stark, and Rockmond Dunbar, along with co-creators Brad Falchuk and Tim Minear, executive producer Alexis Martin Woodall, and director Bradley Buecker. “They only allowed one parent to ride with the child in the ambulance, so my husband David went and I stayed with our other one upstairs. The officers and responders stayed to get a report from me I had the experience if sitting with them and talking to them. They really kind of talked me off the ledge,” he added. 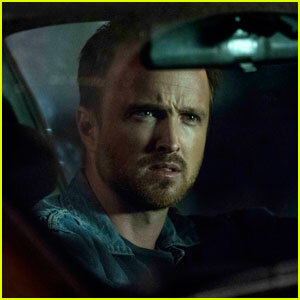 Aaron Paul keeps it super serious while sitting in a car in these brand new photos from his upcoming Hulu series The Path. The 36-year-old Breaking Bad alum stars alongside Michelle Monaghan, Hugh Dancy, and Rockmond Dunbar. The show follows a family at the center of a controversial cult as they struggle with relationships, faith and power. Each episode takes an in-depth look at the gravitational pull of belief and what it means to choose between the life we live and the life we want. The Path starts streaming weekly on Wednesday, March 30.